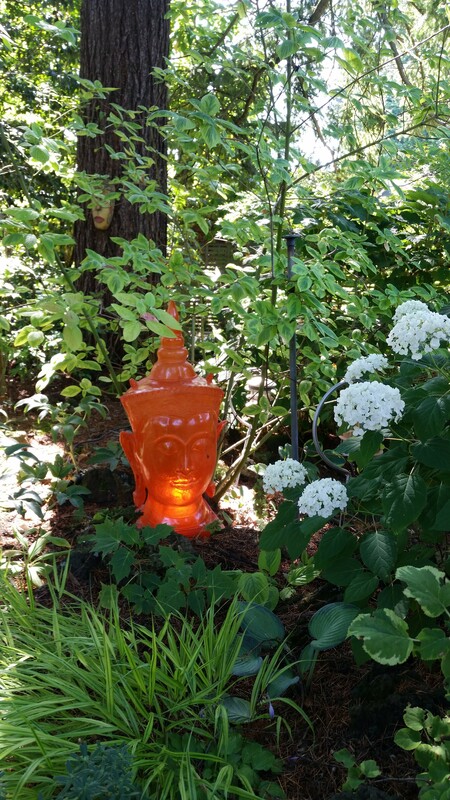 Garden Quote – American Indian proverb, Tell me the facts…. 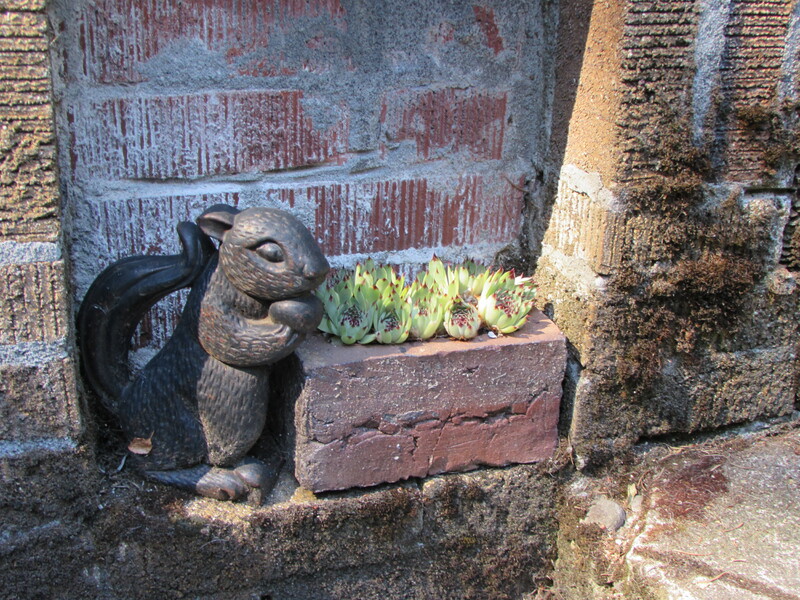 Little squirrel with his garden at JJ De Sousa’s garden. You may wonder how this quote relates to gardens. I love the stories people tell. I am better at remembering their stories than their names. Stories are unique and each person has a lifetime’s worth to share if they choose. Each morning as I sip my vinegar infused water I read through various blogs. Blogs are so personal and intimate and I learn something new every day. It is like reading several books one page at a time. I believe people want to reach out to others and communicate. Technology has given us this new venue to share our thoughts and experiences. I am connecting with people all over the world as I read their stories. That is how I came to find out about the Garden Bloggers Fling. 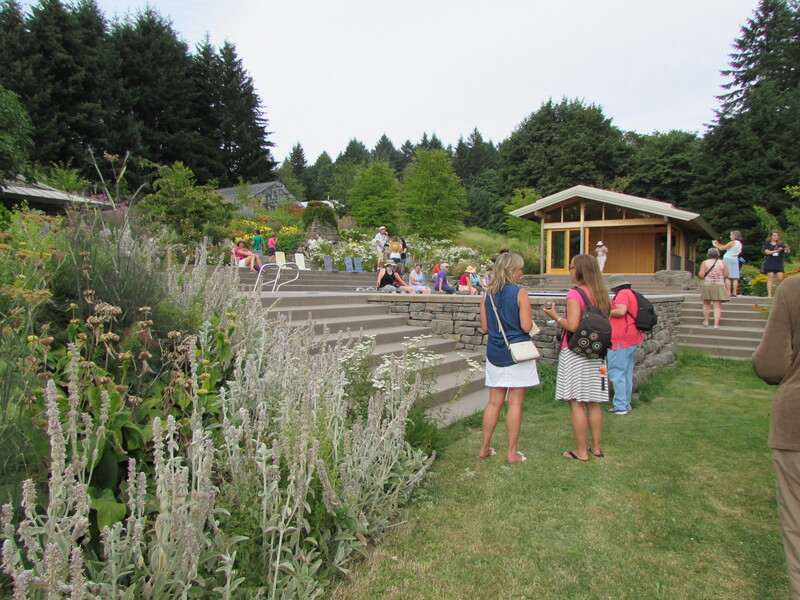 It is an annual gathering of garden bloggers that meets and tours gardens together. It is completely run by volunteers. This year it was in Portland Oregon and the Portland team did a fabulous job hosting us! It was my first time and I was blown away by the well-planned non-stop tour in and around Portland Oregon. It was an amazing experience with total sensory overload. I am still coming down from the trip! 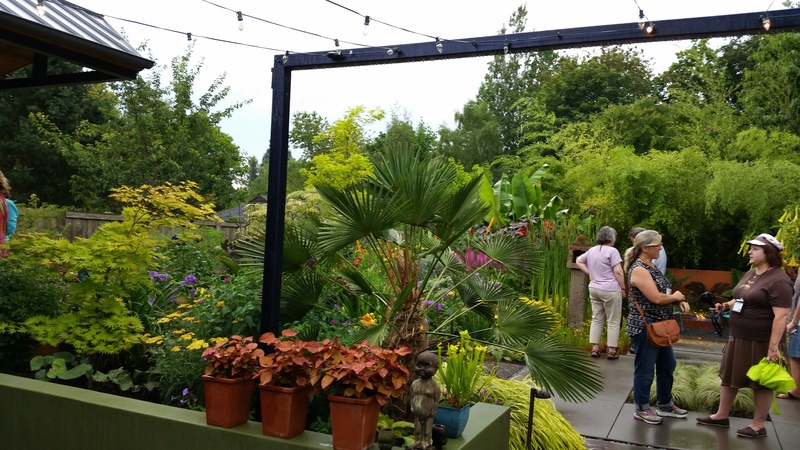 80 blogger got together and toured 17 gardens in 3 days! Wow! Westwind Farm Studio on top of a hill with a lovely view and large grass meadow surrounding it. I got to hear so many stories and talk about some of my favorite things: plants, organic gardening and garden design. These were earthy people, friendly and totally genuine. Sharing gardens with other people who love them as much as I do was such a satisfying experience. They ‘ooed and awed’ at the colors, combinations and contrasting foliage. They would call out to others, “what’s the name of this plant?” Exclaimed over the beautiful blossoms. People connecting over plants. So simple but so rich. I came away with a renewed sense of a world community. We had gardeners from all over the US and even some from Canada, Spain and England. I made sure to get the name of their blogs so I could keep up with them and their gardens. Floramagoria a lush garden with many places to sit and enjoy the company of friends. Large flower bed at Floramagoria garden. Gardens tell stories too! They invite you in and engage all your senses. If you sit and observe for a while you get drawn in and notice the wildlife that coexist with the plants. The way the color of the leaves play off each other. The breeze as it catches in the stalks and makes them gently wave. The rich colors of the flowers that only nature can achieve. The longer I sit in a garden the more its story unfolds and the more captivated I become. I learn to be still and to enjoy just being! 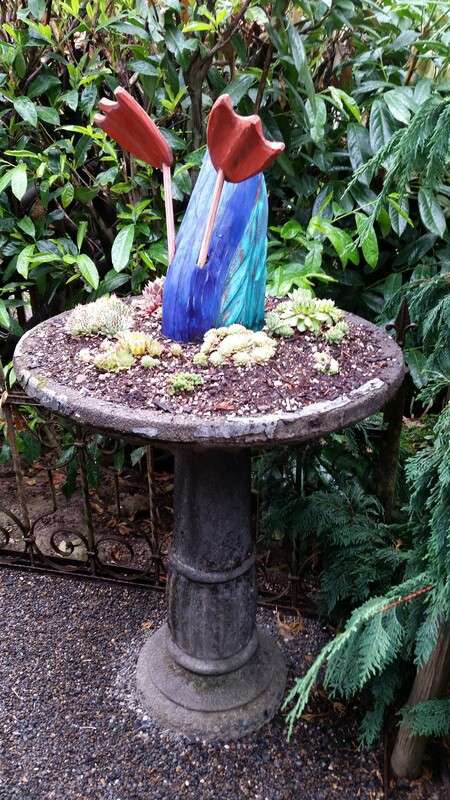 And now I am seeing all the gardens we visited in Portland as other bloggers share their photos and experiences. We are still connecting over gardens via our computer screens. And I get to see the gardens through their eyes! When I first came across the quote I actually thought about the media and the stories they share and how they affect us. I stopped watching the news on TV years ago because it made me so depressed. I do read a couple of papers online. I prefer papers like The Guardian from U.K. because it seems less biased than what I find in the USA. I wonder why the media evolved to believe “news” is reporting about all the bad things that happen in cities, nations and the world. I am aware there are a lot of bad things going on all around the world. But is there more bad than good? Does reporting all the bad make people more negative which breeds more bad? Perhaps I am like this duck hiding from reality! I get my world news from reading blogs. Mostly the ones I read are related to gardening and gardens but life filters in and I get a glimpse of things from New Zealand, Australia, Poland, U.K., Sweden etc. They talk about the weather, dryer than normal, wet summer etc. and wondering if it is due to Climate change. They talk about local trends, GMO’s and pesticide. From reading blogs I feel a sea of change around the world! People caring about our planet and doing something about it. Going back to a simpler way of living. Getting out in their gardens. Growing food in their front yards, cooking it and eating it! Sharing their extra produce with neighbors and food banks. I find most gardeners are going back to organic gardening and collecting rain water to water their plants. And they are all sharing their trials and tribulations, ideas, recipes etc. in their blogs for others to learn from and connect with. I find all of this very heartening! Lovely post about a wonderful group of gardeners. It was such a pleasure having everyone in Portland, we all loved it. Wonderful words here, thank you! Tamara (Chickadee Gardens). You are most welcome Tamara! It is an experience I treasure! Great post that really conveys what the Fling is all about, so glad you made it to Portland Laurin! Thank you Loree, I am so glad I went too! I was so intrigued when bloggers I followed started blogging about the San Fransisco fling. Then I met Pam Penick in Austin and she encouraged me to go : ) I can’t wait till the next one! I am excited to visit these places you have shared today when I visit my son and his family who live in Oregon! Janice, these are pictures of private gardens. I will send you a list via email of public gardens we visited too! Great post! I was worried about attending my first Fling. I’m terrible at meeting new people. 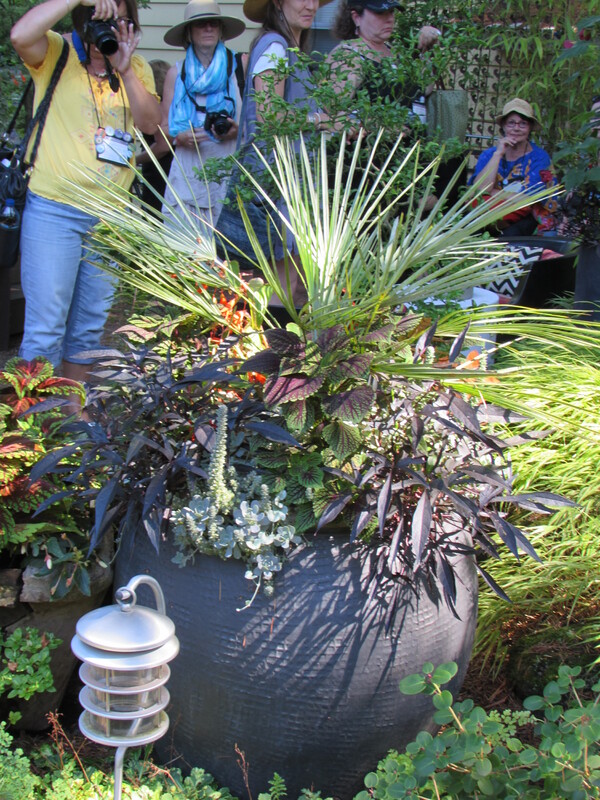 But bonding with other bloggers over gardens and plants made it much easier. It really was a great Fling. Matthew, I was terrified to go! I work alone 90% of the time and don’t usually like big groups. You are right bonding over gardens was easy and I am so happy I went! A wonderful post! It was such fun getting to talk to you and learn about your gardens. I’m so glad you enjoyed Portland; the Fling was such a fantastic event! Thank you Jenni. I enjoyed talking to you too and sharing such a wonderful experience! Thanks Darcia, I am looking forward to Toronto. My husband wants to come too, he does our Monday posts! This is so beautiful, it brings tears to me eyes. It was wonderful meeting you Laurin and I am glad we got to enjoy dinner together. I really enjoy the communing of bloggers at these flings. 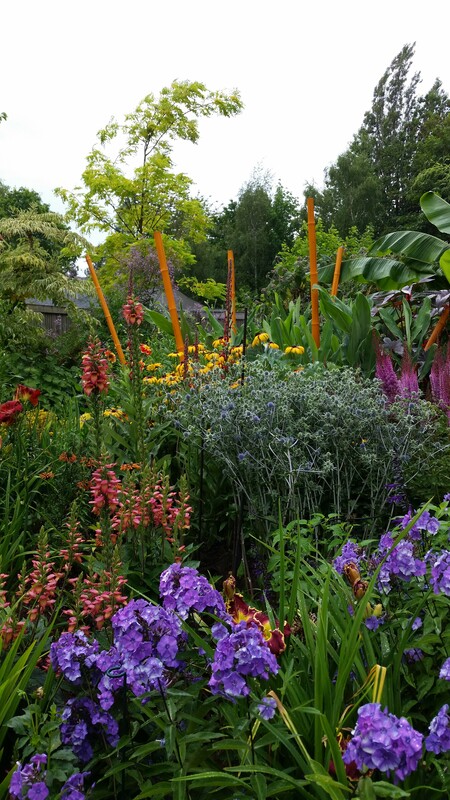 As for seeing the various gardens through others’ eyes…boy you have that right! 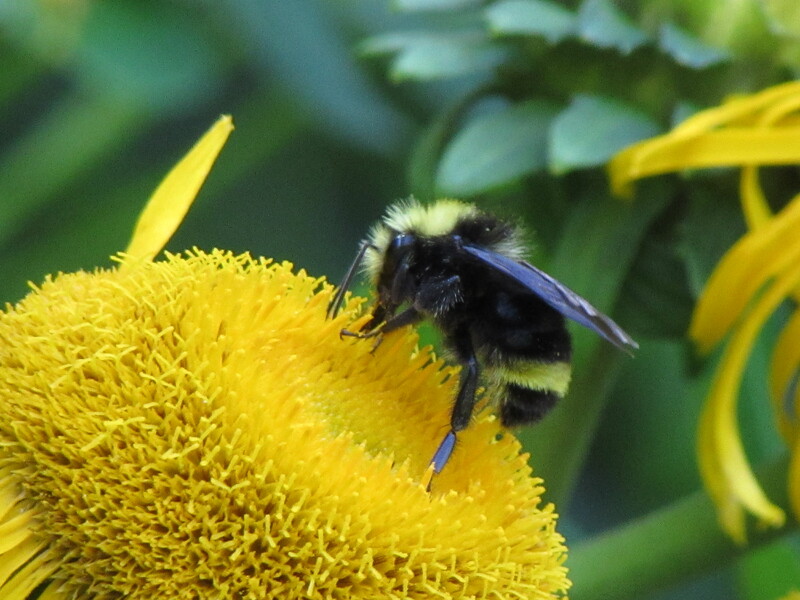 Many times I see parts of a garden in someone’s blog that I missed while there. I enjoyed our little dinner very much! And keeping up afterwards is dessert to the whole fling experience! Laurin, I love your “story” about your first Fling experience. And I’m even happier that you found your people there, as I have. Beautiful post! Pam, it was you that made me feel comfortable enough to join the fling. I am so very grateful! A lovely post. The Fling sounds wonderful. How great to meet people whose blogs you read and to share garden visiting with them. I wish I could have been there. So glad you are a Guardian reader! Thank you Chloris…You should check out the website and FB page…maybe you could join us next year! Such a wonderful post, Laurin! It makes me excited about blogging again (it comes and goes with me). I’ve been traveling so haven’t had a chance to do much with my Portland pics but I plan to! Thanks for reminding me about this great community. Oh good Jean I look forward to reading your posts!